NATO regrets that neither Russia nor Belarus, which will conduct large-scale joint military exercises "Zapad-2017" (West-2017), has invited the Alliance experts to observe the drills at the proper level, that is, in accordance with Vienna Document 2011 on confidence- and security-building measures, according to an UNIAN correspondent in Brussels. "Belarus has invited military liaison missions to attend distinguished visitors' days on its territory. NATO will send two experts to attend. However, this is not the same as observation as set out in the Vienna Document. We regret that neither Russia nor Belarus has applied the Vienna Document transparency measures to Zapad, in line with the rules agreed by all OSCE states," the Alliance commented on the information that the Belarusian authorities had invited representatives of NATO and other international organizations to observe Zapad-2017 military exercises. According to NATO, the Vienna Document transparency measures are important because they prevent misperceptions and miscalculations. "A Vienna Document observation has required elements to it – briefings on the scenario and progress, opportunities to talk to individual soldiers about the exercise, and overflights of the exercise. Russia and Belarus are instead choosing a selective approach that falls short. Such avoidance of mandatory transparency raises questions," the Alliance's headquarters emphasized. Read alsoTurchynov: Russia may create strike groups for invading Ukraine amid "Zapad-2017" drillsMoreover, NATO and its Allies apply the Vienna Document rules consistently and regularly go beyond them and invite observers, even when troop numbers in the exercise are below the mandatory threshold (examples: NATO exercise Trident Juncture 2015, allied exercise Anakonda 2016). As UNIAN reported, on July 13, NATO Secretary General Jens Stoltenberg did not rule out that the number of military personnel participating in Zapad-2017 exercise might exceed the officially announced and called on Russia to comply with the Vienna Document. 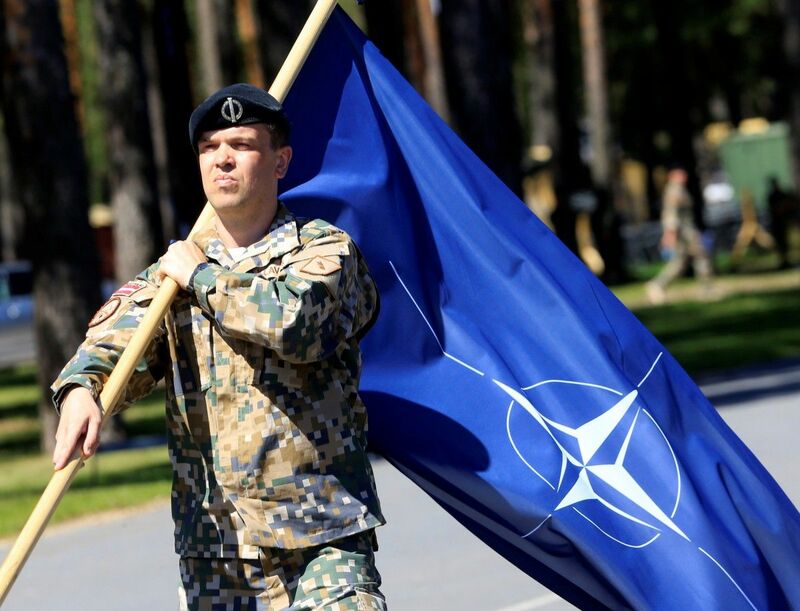 At the same time, he noted that NATO did not see any immediate threats to the Alliance countries from the drills. The Russian-Belarusian Zapad-2017 exercises are scheduled for September 14-20. Over 13,000 servicemen must be involved in the drills, according to preliminary data. Secretary of the National Security and Defense Council (NSDC) of Ukraine Oleksandr Turchynov said on August 22 that the actual number of participants in the strategic command and staff strategic exercises of the Russian Armed Forces Zapad-2017 would reach 240,000 people. A large spatial scale and the number of persons involved will characterize the exercises that will last almost two months, the NSDC secretary noted. In particular, an important component of the exercises will be the elaboration of the use of the 1st and 2nd army corps of the 8th Guard Army of the Southern Military District of the Russian Armed Forces deployed in the temporarily occupied areas of Donbas on a common operational and strategic background with other Russian troops.